Brush your pet without the mess thanks to the Self-Cleaning Pet Brush. 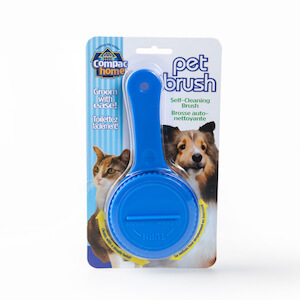 Grooming your pet is easy when you use this self-cleaning brush with retractable bristles. When you’re finished brushing, simply turn the key on the back of the brush to completely remove left behind hairs.